Holiday Closings: The library will be closed on December 24, December 25 and January 1. We will also be closing at 2:00 p. m. December 31. We will be open our regular hours on the other days including being open our regular Saturday hours of 10:00 a. m. to 4:00 p. m. on Saturday, December 26 & Saturday, January 2. New hours, and expanded, Creation Station hours will begin January 4, 2016. 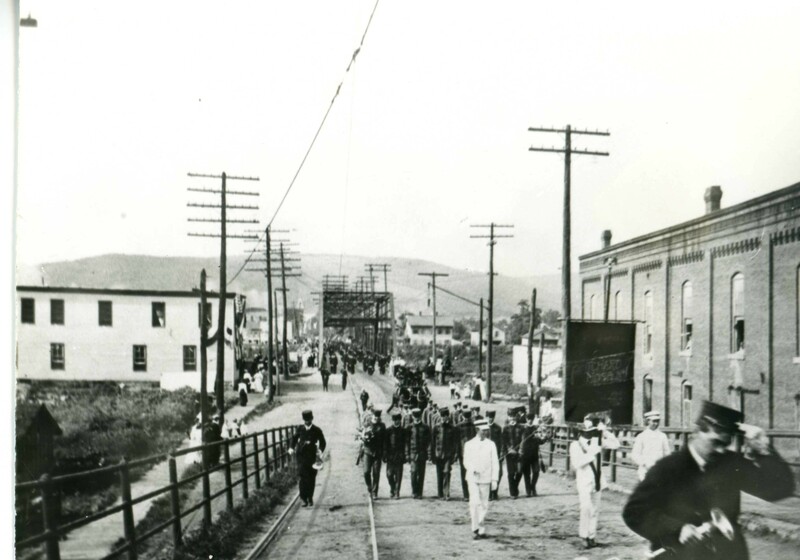 Hi everyone, here is a new batch of Local History Mystery Photos! As usual if you click on the individual photos you get a larger view. Well this one really isn’t a mystery! 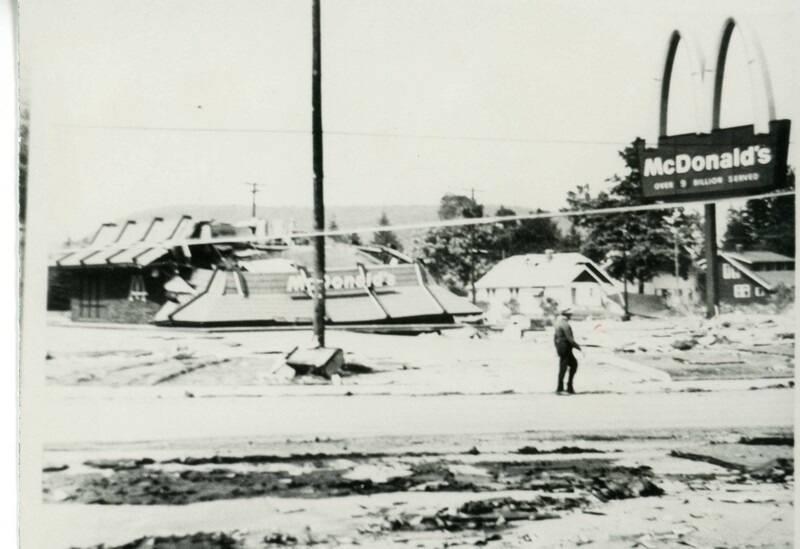 Unless of course, someone wants to take a stab at identifying the man in the photo… This is a photo of the McDonalds that use to be in Riverside somewhere near the old Tasty Freeze. I’m thinking it was located somewhere near where the entrance ramp to the highway is across from Auto Zone but as I was 6 in 1972 I might be off a bit! The picture was taken just after the famous Flood of 1972. This photo was taken during the Food of 1972 and the mystery might be how was it taken? 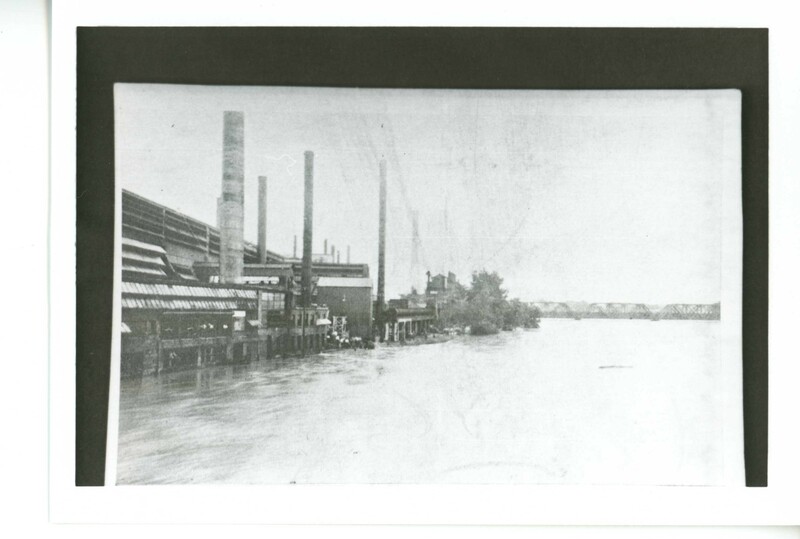 It appears the photographer was in a boat floating by the Glass Works buildings. And this photo also appears to be a photo taken of another photo — so the second mystery question might be who has the original photo? 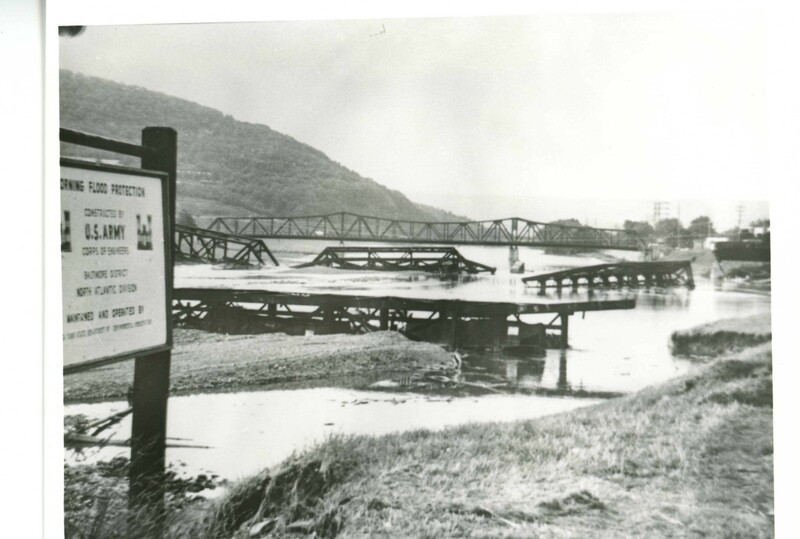 This photo appears to be of the Chemung River looking eastward from the region that is past Wegmans and parallel to Sunset Drive — towards what I believe is the Bridge Street Bridge in the background with parts of the old railway bridge in the foreground. This is another photo in the library archive that appears to be a photo of another photo so it is a bit crooked because that is the way the photo in the archive looks; however, this is a neat photo of the Corning of the past! 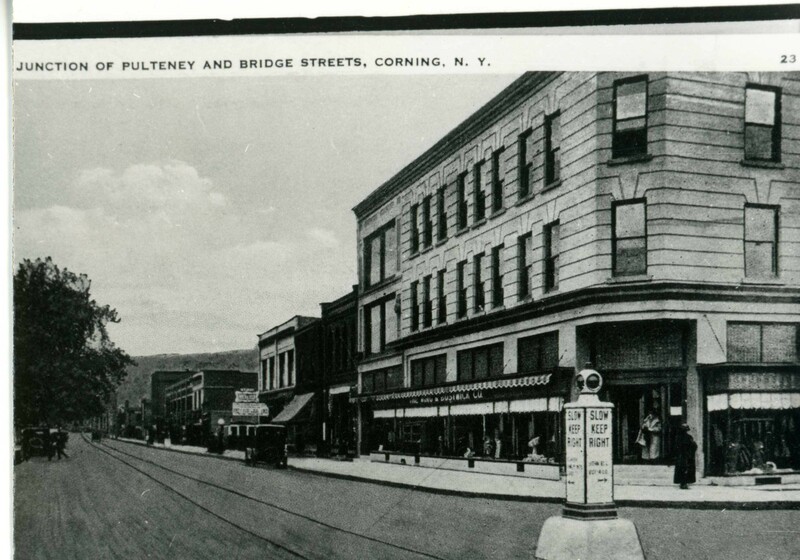 The photo is of one of those old postcards and is labeled with the description “Junction of Pulteney and Bridge Streets, Corning, N.Y.
And I know where Bridge and Pulteney Streets are of course! However, that large building in the foreground — not a clue! So our mystery questions regarding this photo are 1: Does anyone know anything about the large building in the foreground – perhaps what business were housed in it? And 2. Does anyone have any idea of what year the photo was taken? And this one is another photo in the archive that is actually a photo of a photo; however, I think it is cool so I’m going to include it! 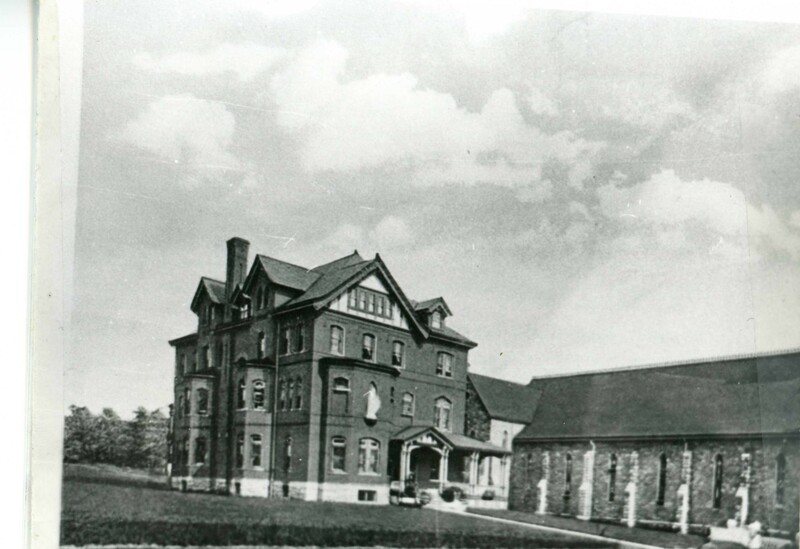 This one is of the St. Mary’s Church what I assume if formally called the Rectory located on Corning’s Southside. And our mystery question is what year was this photo taken? The car, which you can just see located in the bottom right hand corner of the pictures looks like an early 20th Century car — so if someone knows their cars — they might venture a solid guess! 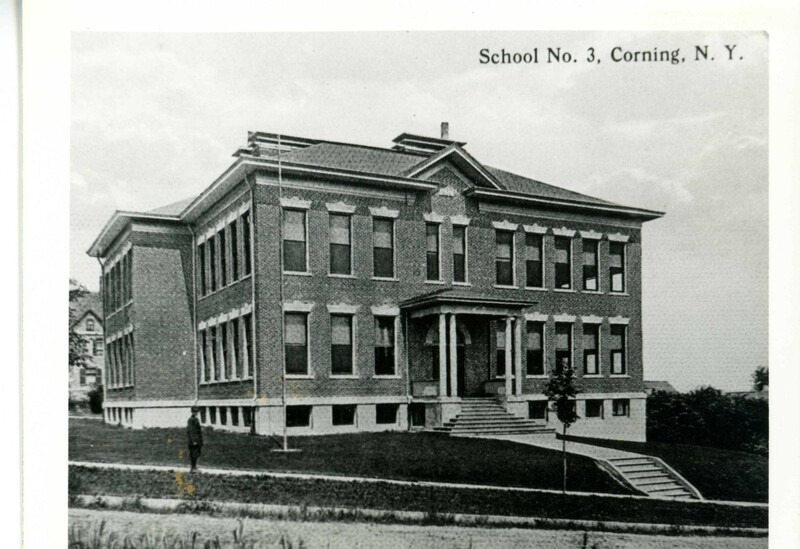 This photo is of old School 3, located on Chemung Street between Fourth and Fifth Streets in Corning and which has since been transformed from a school into apartments. And our local history mystery question is what year do you think the photo was taken? Our iPad Basics Workshop offers new iPad owners an overview of how to use the iPad; and includes a discussion of useful suggested apps in categories that iPad owners might enjoy. The iPad app categories discussed include: News, Entertainment, Sports, Cooking, Games, Books, Weather and more! This program will include a brief 3 D Printer presentation and then attendees will create their own customized 3 D Printed ornaments. Note: Since 3 D Printing takes a while ornaments will have to be picked up at a later date.